Ninja-go to 2018 for new sets and cool stuff. More movie sets? Motorcycle gangs? Outrageous! 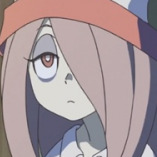 I hope the volcano base has new fish villains. I want that narwhal mold. I just love it. 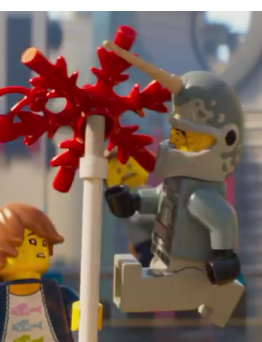 The Sog sets will likely include red swords and the sog bike and Lloyd's car as seen in this clip, but the minifigs will likely change, hopefully we will get he colour coded Sog members from the intro. Should we except the Sons of Garmadon sets be released with the second movie wave or after it? Also I'm disapointed that the volcano base is only a medium size set I hoped it would be bigger but only time with tell. I'm really hoping for the baby Lloyd and flashback Misako because so far the movies have not shown parts that don't exist(colours and prints but not parts) and that Misako has an awesome quiver piece that I really want. Does anyone expect the Sons of Garmadon members to sort of be "anti-Ninja", sharing the ninja's color schemes and perhaps even sharing their powers or acting as foils to them? Ninjago hasn't really done any of that sort of thing since year one, when each of the Skulkin warriors and generals was color-coded to one of the then four elements shared with the ninja themselves. 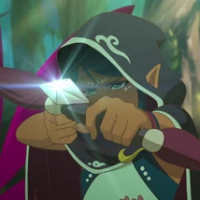 The ghost leaders in Possession (Morro, Bansha, Soul Archer, Ghoultar, and Wrayth) also had arm colors that roughly corresponded to the ninja, though it wasn't heavily emphasized and they didn't have any elemental angle to them. And in terms of the TV series there were literal anti-ninja in Season 2. I'm a sucker for a good Volcano Base, but I'm an even bigger sucker for modding a good Volcano Base. Also, I'd like to echo your sentiment on Flashback Misako and Lloyd, and would love to see them in a set. And hey, if it's the Volcano Base set, two birds-one stone. The newest video game trailer uses the vehicles in set form and gives us a good look at Cole's Quake Mech. It's too hard to tell how it balances on one wheel but I'm guessing it'll have two flaps that fold down from the sides as a kickstand and fold up for play. Awesome! If there's a piranha vehicle, does that mean we'll get a piranha hence as well? The actual set pictures seem to be out as well. One set appears to be Lloyd's car that was in the trailer. The 2 play sets look cool. OH LOOK COLE IS CARRYING A BABY MINIFIGURE! Sensei Wu returned as a baby? What would I look for when searching for these? 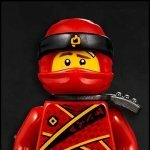 And lego_peru has confirmed on Instagram that there are no Ninjago Movie sets in the catalog. It was my first thought when I saw it from the Season 7 preview, but Lloyd's car still looks like the Beware the Batman Batmobile from the 2014 Riddler Chase set. But, it does look much more bulkier and cooler.